A premier GIMP software magazine. GIMP is an image editing software package similar to Abobe® Photoshop®, but licensed as free and open source. The latest version of GIMP (2.8) has been downloaded over 6.5 million times in just two months which is an enormous user community. Various versions of GIMP have been downloaded well over an estimated 40 million times since 1997. 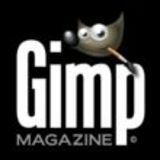 GIMP Magazine features the amazing works created from an enormous community from all over the world. Photography, digital arts, galleries, step by step tutorials, master classes, help desk questions, product reviews, so much more are showcased and explored in this publication. Everyone is encouraged to submit their works for the magazine. This publication is available for free and is licensed Creative Commons CC-AT-SA 2.5. ISSN: 1929-6894. Find us on Google+ at "+GIMP Magazine"